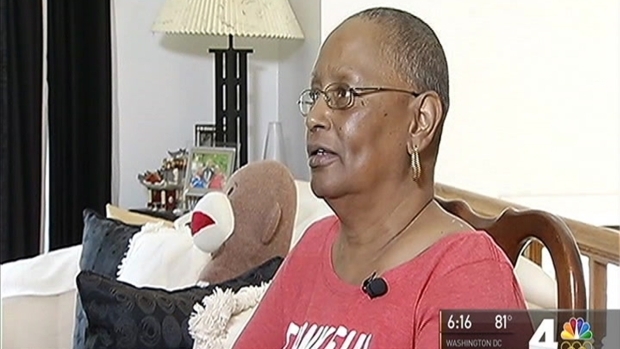 Days after 68-year-old Carolyn Colbert survived her third battle with breast cancer, she decided to soak in the good news by taking a walk near her home in Oxon Hill, Maryland. "I said 'Wow! I did it!' and I was so happy," she said. Colbert was swinging her arms as she walked down the street when three pit bulls suddenly charged at her. "They just came out of nowhere," she said. 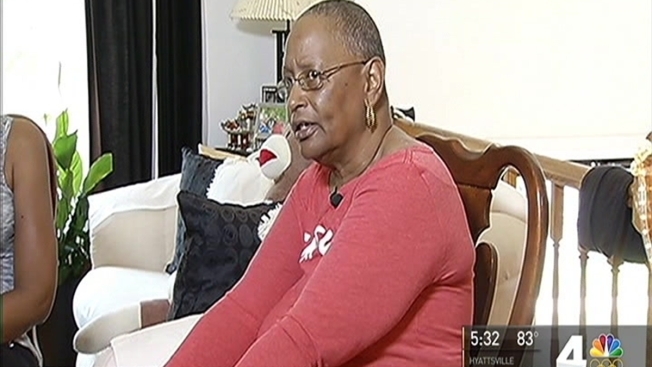 Three pit bulls mauled a 68-year-old cancer survivor. The owner faces charges because pit bulls are illegal in Prince George’s County, but the victim tells Bureau Chief Tracee Wilkins more needs to be done to prevent another attack. Colbert had recently undergone a mastectomy and said her first instinct was to fall down and protect her chest, where she still had stitches. One at a time, the dogs pounced on her. Eventually, the owner of the pit bulls came out to try to stop the attack. "He would grab two, but it left one, and it was like they just tore into [my left] leg," Colbert said. The dogs bit Colbert more than 70 times. As the attack progressed, Colbert said she prayed to God that she would survive. "I though I was going to die," she said. Prince George's County firefighters and EMTs who responded to the scene said it was the worst dog attack they had ever seen. "I can only imagine while the dogs are attacking her, what she must have felt at that time," firefighter and paramedic Jason Cruz said. "The wounds that she had -- I can imagine it felt as though she was in great peril." "These particular dogs could have killed my mother," said Colbert's daughter, Burnetta Simmons. As Simmons was driving that day to see her mother, she saw a woman lying on the sidewalk covered in blood. "I initially thought it was just a woman in distress. Then, I noticed my mom’s tennis shoes on the ground and I thought, 'Oh my God! That’s my mom!" After weeks in the hospital, Colbert was released on Wednesday. She said she still has a long road ahead and her family has to help her do just about everything. Pit bulls are illegal in Prince George's County. The three dogs were euthanized the day of the attack, and the owner is facing a $1,000 fine and six months in jail for each dog he had. Simmons said that isn't enough. "Are you telling me that that’s the same law that would be applicable if my mom had died?" she said. "I just want to say for anybody that anytime you own anything that can bring hurt, harm or danger to someone, you just ought to think about it," Colbert said.